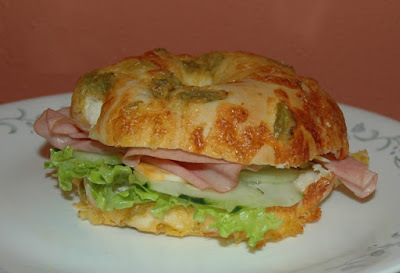 This is one of my all-time favorite lunches: a green chili cheese bagel. My local Smith's makes the best green chili bagels. Add some mayo, mustard, cheese, ham, cucumbers, spinach or lettuce, then enjoy! Looks like my menu is a little heavy on the chicken, but oh well, at least it's all planned. If you've planned your Halloween Week menu, please share. Have a great week!